Conversion Tracking is now standard in SurfStats Website Analyzer and SurfStatsLive . Conversion Tracking helps you to establish where to focus your website marketing efforts to get maximum Return on Investment (ROI) for the marketing time and money spent. What is Conversion Tracking? Conversion Tracking defined. Conversion Tracking Methods. Calculating Visitor Conversion Rate. Log Analysis and Conversion Tracking. Benefits of using SurfStats Conversion Tracking. Why you still need Log Analysis. Conversion Tracking Reports. 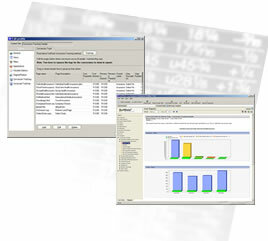 Conversion Tracking reports generated by SurfStats products. How to interpret Conversion Tracking reports. Configuring SurfStats Website Analytics to do Conversion Tracking. How to set up Conversion Tracking in SurfStats Website Analytics. The type of files that can be tracked. Where to find the generated reports. Useful resources about Conversion Tracking. Useful links and other resources about the topic of Conversion Tracking. Tracking services provided by search engines.